Marine Corps stuffed animals and toys for kids ages three to 83! Semper Gumby in the Marine Corps means "Always Flexible" and is a play on the Marine Corps slogan "Semper Fidelis" or "Semper Fi" meaning "Always Faithful". 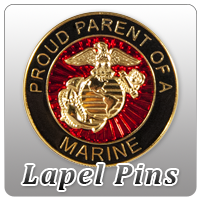 Unique to Marine Parents! You won't find this anywhere else; made specifically for the EGA Store and our Semper Gumby. This is a nice accessory for your Semper Gumby or any regular 7" Gumby. This rendition of a Marine Corps Boonie Hat is made of desert digital camouflage fabric to match the cape on our Semper Gumby (sold separately). Hand-made in the USA. Measures approximately 2 1/4" circumference, 3/4" tall, and the brim is 1/2" around. No Semper Gumby is Complete Without His Boonie! Of course, SG needed a Boonie. He can never have too many accessories, in my opinion. Those hot summer days in the 'Stan -- or sitting on the dashboard on our way somewhere -- can be a killer without your Boonie! Every SG needs one!